MY AMAZING YARD is Honored to be selected as the 1st FL Dealer for Spain’s FESFOC! In a world in which avant-garde and technology do have an important place in our lives, FESFOC has been created to fulfill the designer market requirements. FESFOC set the trends, as supported by press articles and specialized magazines. Continuous improvement is their philosophy and their customers are the most important thing to them. The contemporary minimalist design of their products integrates easily into the more sophisticated environments. The FESFOC barbecues are entirely fabricated in Spain with best quality materials for longer durability. They are thoroughly designed so that its main lines combine harmonically with your architecture and landscape. BE ONE OF THE ONLY AMERICAN HOMES WITH A FESFOC OUTDOOR KITCHEN! 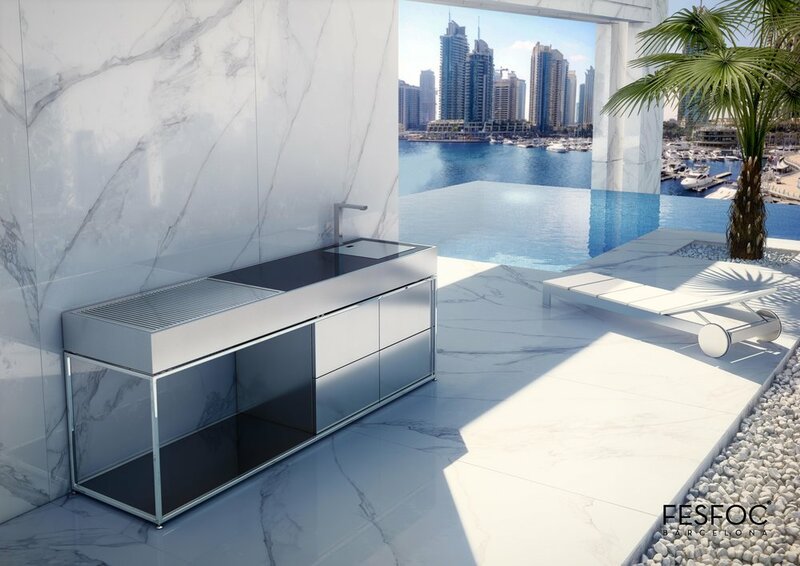 Internationally considered as a leading brand in innovation, technology and aesthetics, FESFOC barbecues are fully adapted to modern standards, becoming a new concept in outdoor cooking combined with stylish design. 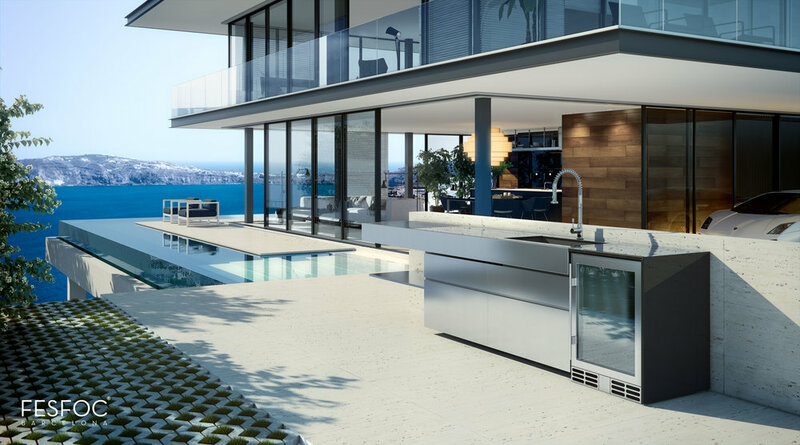 Adaptable to the style of your home, regardless of the chosen location for your barbecue, FESFOC provides a wide range of possibilities for adapting the barbecue to the characteristics of your home. FESFOC’S commitment results in high quality products with the best performance, providing the maximum reliability to their customers. Performance, comfort, design, durability, security and ecology are essential criteria to FESFOC. Their stated purpose is to anticipate the aspiration of their Global customers.